ALL HANDS ON DECK! Mr. Morton, prepare the Flying Sub for immediate launch. Admiral to the bridge!! 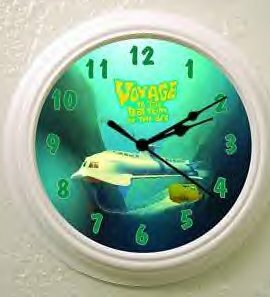 A fan-made wall clock with an image of the famous "Seaview" submarine. 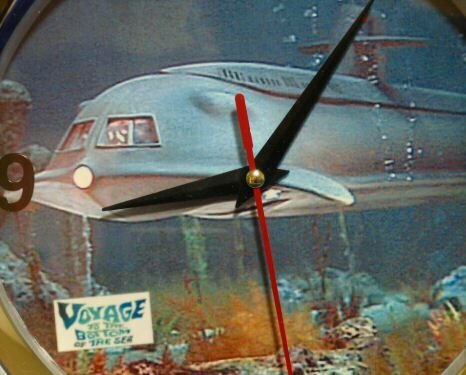 From the Irwin Allen show of the '60's, the inventiveness and colors of the show bring out the "coolness" of the Seaview design that so many of us grew up with. 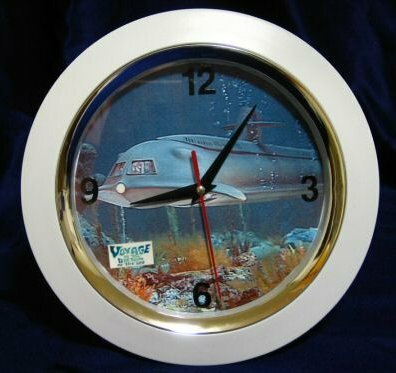 This is a custom made clock that will looks great anywhere you put it. In your home, business or your office, it is sure to strike up a fun filled conversation. See how many people can name the sub or remember the characters that have become iconic. 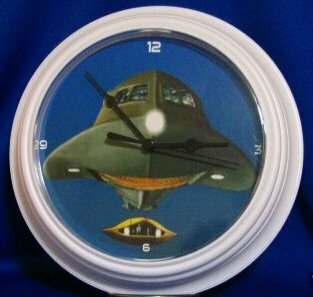 Do they remember any other vehicles from the show (The Flying Sub)?